The claim first surfaced on TechCrunch, a US blog that largely covers internet startups, before being picked up by other sites. 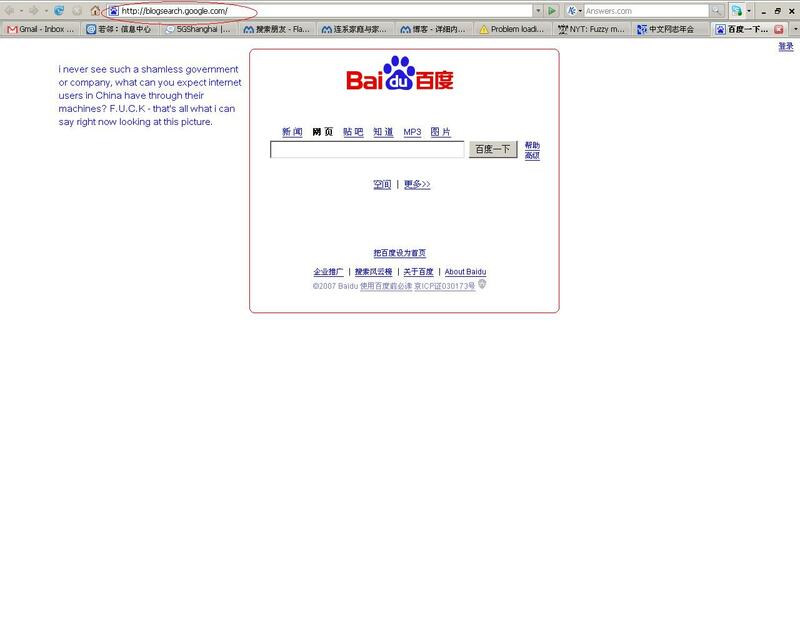 The headline of that post alleged 'Baidu hijacking Google traffic In China', but offered no evidence to prove the claim apart from an undated, modified screenshot showing Baidu's web page below the URL for Google Blogsearch. In a follow-up post, TechCrunch said "new reports have surfaced that would indicate that China has unilaterally blocked all three major search engines in China and is redirecting all requests to Baidu". That report cited posts on other blogs, where users claimed to have been redirected from U.S. search sites to Baidu. A Google spokeswoman in Beijing did not immediately respond to an email seeking comment. However, several internet users - four in Beijing and two in Shanghai - reported on Friday morning that search engines operated by Google, Yahoo and Microsoft, including Google Blogsearch, one of the sites reportedly most affected, were accessible. Attempts to reach these sites had not been redirected to Baidu, they said. Internet censorship is a serious problem in China, and regulators routinely block access to sites with content they don't like. But Chinese officials very rarely comment on censorship efforts, making it difficult for users to determine when a site has been blocked or is inaccessible for other reasons.